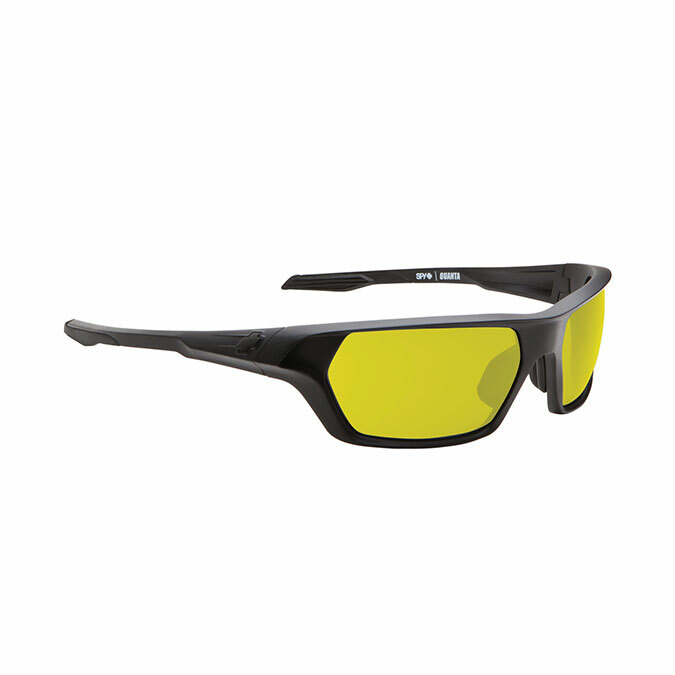 Looking for a pair of tactical sunglasses, with ANSI-certified frames that won’t break the bank? Here are five choices for you to consider, complete with endorsements from GovX members. Because after all, you don’t wanna take our word for it. Take your ally’s word. A predatory profile characterizes the Acid Gambit by Edge Tactical. Featuring a TR90/Nylon frame that offers superb grip and a wrap-around style, these glasses offer Edge Tactical’s signature Vapor Shield anti-fog coating to ensure maximum clarity through any atmospheric condition. ANSI certified for the best in ballistic protection. I’m very impressed by these tactical sunglasses. They’re great, without breaking the bank. I work construction, so the ANSI rating is a must. Very pleased. Not too dark, just right. Yes, they have unisex frames. No, you won’t lose your man kind if you wear them. Stylish, functional eyewear that can endure a world of abuse—these are definitely ANSI certified—and won’t allow anything to get in the way of clear vision or comfort. Hytrel rubber nose pads and temple tips offer a grippy, no-slip fit that you can rely on for bike rides, competitive shooting, jet skiing, running, hiking, parasailing, bear wrestling, etc. I needed a replacement set for my deployment Oakleys and saw this pair on sale. The result was more stylish and functional with the right size, shape and specs for my job. I am looking to buy a second pair later this year. Great product. What are you in the mood for? Need crystal clear tactical sunglasses? Smoke tinted lenses for a little outdoor shooting? 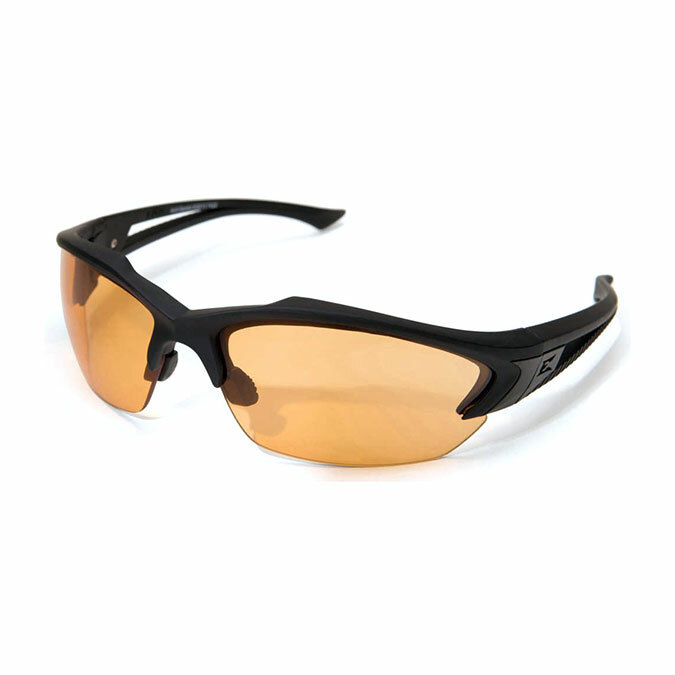 Or ANSI-certified red-tinted lenses for having the ultimate in ballistic protection (and just looking badass)? The Veloce can do all three. The durable Grilamid TR-90 nylon frame has a high bending strength and a low density, giving you a tough, lightweight fit and feel, complete with hydrophilic rubber ear and nose pieces for a no-flip, secure fit. These glasses fit great. And the clarity of the lenses is really astounding. They’re not flashy but very functional, and at a great value. No list of tactical sunglasses would be complete without Oakley. Fly your colors with this Flag edition. An Oakley bestseller with an iconic look, the Fuel Cell gives you a swept back, predatory look, complete with oversized temples emblazoned with the O-logo for plenty of coverage. 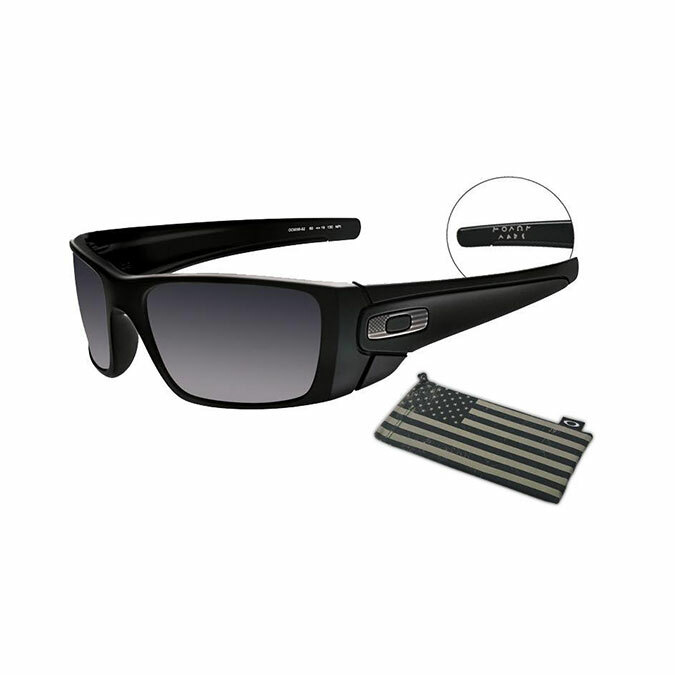 The Steel Flag completes this patriotic edition of a reliable Oakley frame, with a three-point fit that keeps them reliably secure. Lenses built with High Definition Optics for superior clarity, UV protection, and impact resistance. I was looking for something patriotic, but I didn’t wanna be one of those epic flag-wavers with red, white, and blue all over me. Don’t get me wrong, I love my country, but that’s a bit much. The Steel Flag on the side of these is subtle and tasteful, and gets the point across. They’re comfortable, even if they’re a little big on the face. I love taking them on hikes, or just wearing them around town. Loved getting one of these. The nearly indestructible TR-90 Grilamid frame rest confidently on your face, aided by a soft TPR nose and temple inserts for stability. 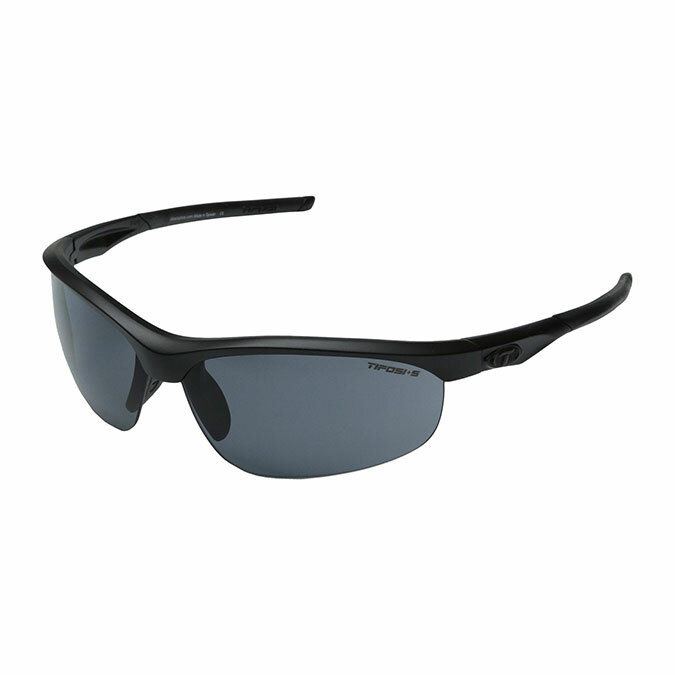 The polarized lenses give you clear vision, maximum glare resistance, and a high level of protection. It even comes with a “SlickStick” web platform attachment kit for use with MOLLE webbing. I have gone through one pair of 5.11 Shear sunglasses, but it has taken me 5+ years to do so. I wore out my first pair and turned them into my yard work safety glasses. My second pair have had NO issues with the nose piece and temples, and are still going strong after 2+ years. I just use dish soap and running water to clean them, so the lenses are still just as clear as when I got them. I dab them dry with a paper towel, then finish them off with microfiber lens cloth. PLEASE don’t discontinue this line!